Greater Variety: Tables to seat 4, 6, 8 or 10 wide variety of colors and stains. A Trestle Table with all these great features could easily sell for the same price as the competition or even more. Better tables at better prices is what we’ve always been all about at Outdoor Living Plus and our new Trestle Tables are no exception. LOSP H3 treated 140x 22mm treated pine, smooth and beautiful. Stainless steel hinges to protect 100% against the elements. Wider Choice of colours for table legs: mahogany, teak, red, green, royal blue, yellow & pink. Table tops stained with clear stain. Other colours available on request. All Tables Sanded so Totally Safe. No splinters, No snagging. Outdoor Tables to seat 4, 6, 8 or 10, with or without backrest. Pub / Bar Tables (1m high). No one in Australia can come close to matching our hands on experience working with every variety of timber and timber finishing products. 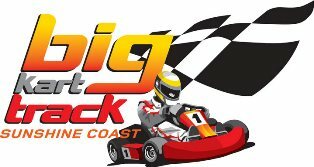 We’ve installed it onto many of the Australia’s top resort and restaurants. The most important thing to us isn’t ‘making a sale’ – it’s satisfying a client. We want you to wind up with the right products, prepared to meet your needs, installed properly and a price and terms that make the most sense for you. Our success is based totally on your satisfaction. When your order leaves our warehouse every table is in pristine, ready-to-install condition and that’s exactly how it will arrive. If anything should happen to compromise the quality during the shipping process, we take full responsibility. WOW tables are “unbreakable” commercial quality with a Triple Protection warranty: 25-year guarantee against rot and decay, 10-years structural warranty and 5-year workmanship warranty. All of our WOW tables are insured against damage incurred during delivery. If anything happens to them while on they’re on their way, we pay! WOW Tables come in just a few easy to assemble pieces and it shouldn’t take more than 30-minutes to put one together. We have a support line to help walk you through it if needed. We can assemble your WOW Tables for you ($25/table) if you’re located in the Brisbane and surrounding areas. We accept all major credit cards, PayPal, cheques, and other methods of payment – just let us know what works for you. (The typical lead time from payment to receipt of your tables is 14 working days). Umbrella Hole No but can include if needed Triple Protection Warranty 25-year guarantee against rot and decay, 10-years structural warranty and 5-year workmanship warranty. How About an Exclusive Triple Guarantee? 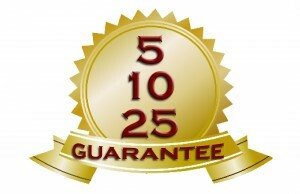 With our exclusive 5-10-25 Triple Guarantee we’ve got you covered every which way. You won’t have to concern yourself with having to buy new tables for years!